Since 88% of long term care stays are less than five years, the (average) best case scenario is $184,000 and the (average) worst case is $456,000. That means you would need $3,100 monthly, every month, for five years — at a minimum. Is the quality of long term coverage the same? Without looking at a policy sample, it’s hard to know. Before you buy either product you would want to review a policy sample or review the definitions of key features. Krystalynn Schlegel, CLU, ChFC, CLTC, a long-time Marin county life insurance industry veteran, graciously offered to provide her preferred options for hybrid life insurance policies. • John Hancock (age 67) universal life policy with a $500,000 death benefit, and/or $20,000 monthly long-term care benefit. Cost is $14,647 annual premium. This policy offers sufficient coverage to cover the (average) worst case scenario. • State Life (age 67 and age 59) 2nd to die whole life policy with $215,000 death benefit, and/or a variable current (This benefit is subject to interest rate risk, which in this case, can only go up.) 50 months of $4,318 monthly long-term care benefits. Cost is $100,000 one time premium. This policy provides LTC coverage for two people, but will pay only on the death of the second spouse. The above policies require that you first incur the costs before reimbursement. And you won’t be surprised to learn there are requirements to qualify for reimbursement. For example, most plans will not reimburse you to have a family member take care of you. Most plans require a “care plan” by the correct licensed practitioner, and care must be administered and delivered by the appropriate practitioner. All the plans cap how much benefit will be payable per month. Jerry Skapyak of Low Load Insurance Services, Inc., an insurance agency that provides insurance sales to clients of fee-only planners, provided premium information for a policy that does not require the insured incur and pay the costs first. • Nationwide – (age 67) universal life policy with a $500,000 death benefit, or $10,000 monthly long-term care benefit. Cost is $9,300 annual premium. The objection to the traditional LTC policies is that you can spend thousands of dollars and never use the policy. 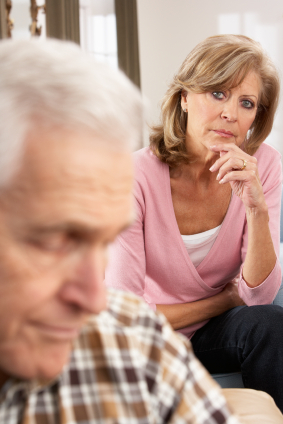 Life policies that offer long-term care protection answer that objection. The question is “Are the opportunity costs too high?” The longer you hold the policy, then the faster the opportunity costs go down to you and your beneficiaries. But everyone has different risk tolerances and different financial circumstances. Make sure you understand the surrender charges as they can be severe — $25,000, in the case of one plan. I suggest that you make sure you understand the impact on your personal financial plan before you sign on the dotted line. Will you have a sufficient emergency fund? Will there be enough liquidity in your investment portfolio? Will your investment portfolio have to work hard, and incur more risk, in order to fund your retirement goals? Will you be able to live with the decision for the next ten to 15 years, watching your single premium not earn a dime, if you don’t need long term care? If you can’t answer these questions then an independent, hourly financial planner might be a good resource for you. This entry was posted in Estate Planning, Insurance & Annuities, Newsletter - "Tips & Strategies to Steer By", Retirement Planning by Celeste Mirassou. Bookmark the permalink.